Viennese Actionism was a short and violent movement in 20th-century art. 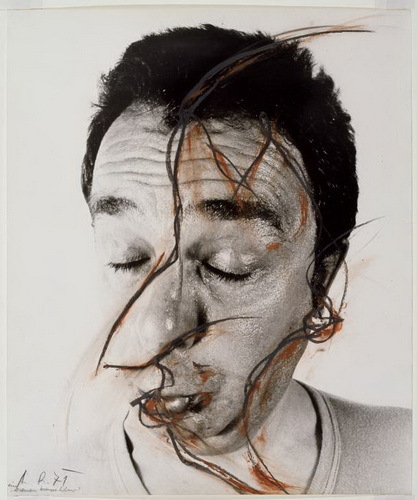 It can be regarded as part of the many independent efforts of the 1960s to develop "performance art" (Fluxus, happening, action painting, body art, etc.). Its main participants were Günter Brus, Otto Mühl, Hermann Nitsch, and Rudolf Schwarzkogler. As "actionists", they were active between 1960 and 1971. Most have continued their artistic work independently from the early 1970s onwards. Documentation of the work of these four artists suggests that there was no consciously developed sense of a movement or any cultivation of membership status in an "actionist" group. Rather, this name was one applied to various collaborative configurations among these four artists. 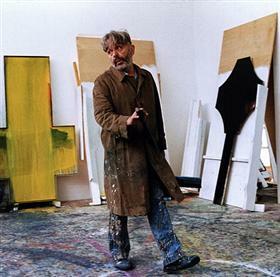 Malcolm Green has quoted Hermann Nitsch's comment, "Vienna Actionism never was a group. A number of artists reacted to particular situations that they all encountered, within a particular time period, and with similar means and results." The work of the Actionists developed concurrently with—but largely independently from—other avant garde movements of the era that shared an interest in rejecting object-based or otherwise commodifiable art practices. The practice of staging precisely scored "Actions" in controlled environments or before audiences bears similarities to the Fluxus concept of enacting an "event score" and is a forerunner to performance art. The work of the Viennese Actionists is probably best remembered for the wilful transgressiveness of its naked bodies, destructiveness and violence. Often, brief jail terms were served by participants for violations of decency laws, and their works were targets of moral outrage. 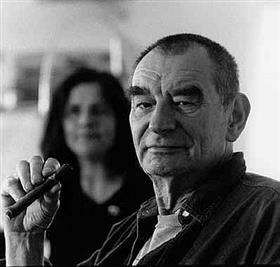 In June 1968 Günter Brus began serving a six-month prison sentence for the crime of "degrading symbols of the state" after an action in Vienna at which he simultaneously masturbated, covered his body with his own faeces and sang the Austrian national anthem, and later fled the country to avoid a second arrest. Otto Mühl served a one-month prison term after his participation in a public event, "Art and Revolution" in 1968. After his "Piss Action" before a Munich audience, Mühl became a fugitive from the West German police. Hermann Nitsch served a two-week prison term in 1965 after his participation with Rudolph Schwarzkogler in the Festival of Psycho-Physical Naturalism. The "Destruction in Art Symposium", held in London in 1966, marked the first encounter between members of Fluxus and Actionists. It was a landmark of international recognition for the work of Brus, Mühl and Nitsch.